Do you have trouble going to sleep? Are you traveling on a plane and need a quick power nap? Does your newborn baby wake up in the middle of the night? There are numerous benefits to using White Noise: • Helps you sleep by blocking distractions • Relaxes and reduces stress • Pacifies fussy and crying babies • Increases focus while enhancing privacy • Soothes headaches and migraines • Masks tinnitus (ringing of the ears) Even when you’re asleep, your brain is constantly scanning and listening for sounds. If it’s too quiet, unwanted noises such as faucet drips or police sirens can interrupt your sleep. White Noise generates sounds over a wide range of frequencies, masking those noise interruptions, so you can not only fall asleep, but stay asleep. SOUND CATALOG Air Conditioner, Airplane Travel, Amazon Jungle, Beach Waves Crashing, Blowing Wind, Blue Noise, Boat Swaying in Water, Brown Noise, Camp Fire, Cars Driving, Cat Purring, Chimes Chiming, City Streets, Clothes Dryer, Crickets Chirping, Crowded Room, Dishwasher Rinsing, Extreme Rain Pouring, Frogs at Night, Grandfather Clock, Hair Dryer Blowing, Heartbeat, Heavy Rain Pouring, Light Rain Pouring, Ocean Waves Crashing, Oscillating Fan, Pink Noise, Rain on Car Roof, Rain Storm, Running Shower, Running Water, Stream Water Flowing, Thunder Storm, Tibetan Singing Bowl, Train Ride, Vacuum Cleaner, Violet Noise, Water Dripping, Water Sprinkler, White Noise APP FEATURES (FULL VERSION) • FULL: 40+ perfectly looped sounds with additional free sounds from the White Noise Market at https://whitenoisemarket.com/ • FULL: Background audio support so you can use other apps while listening. 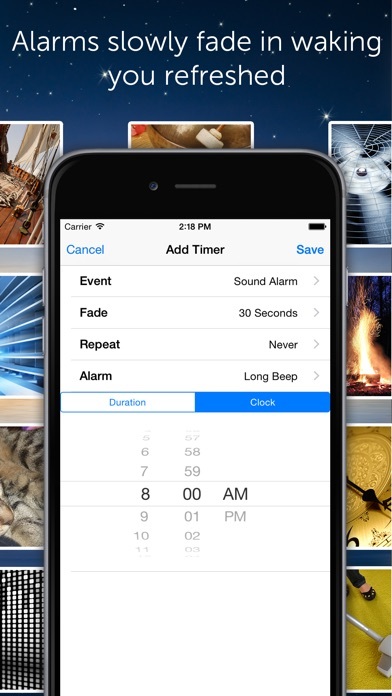 • FULL: Apple TV and Apple Watch App • FULL: Over 20 Alarm Sounds that slowly fade in so you wake refreshed. • FULL: No Advertisements. Disable Market & Rating Prompts in Settings. • Revolutionary Mix Pad editor for creating new soundscapes like a DJ with support for adjusting sound position, sound variance, volume, and pitch of each individual sound in the mix. 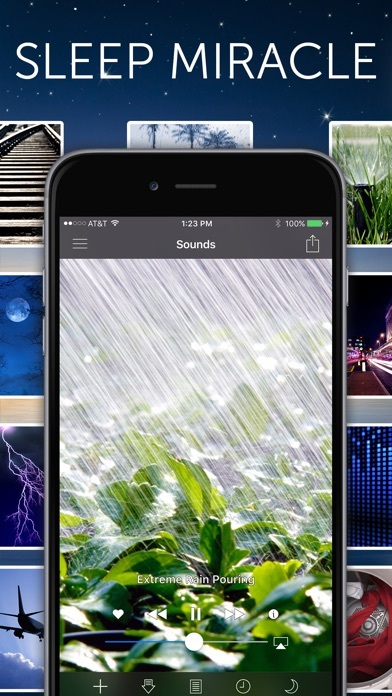 • Record and professionally loop sounds without being an audio engineer! 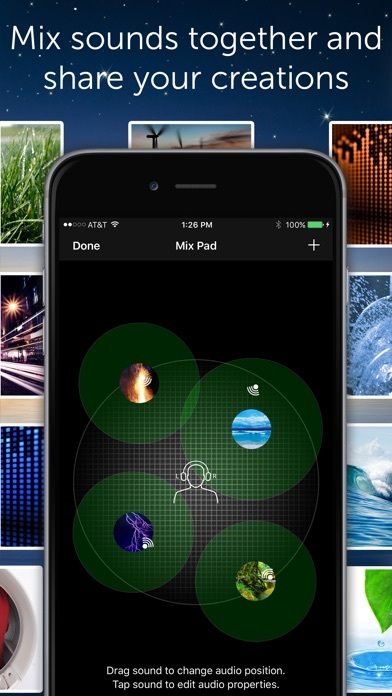 • Upload and Share your recordings and mixes with the White Noise Market app. • Full screen digital clock with multiple colors and brightness controls makes it the perfect companion for any nightstand. 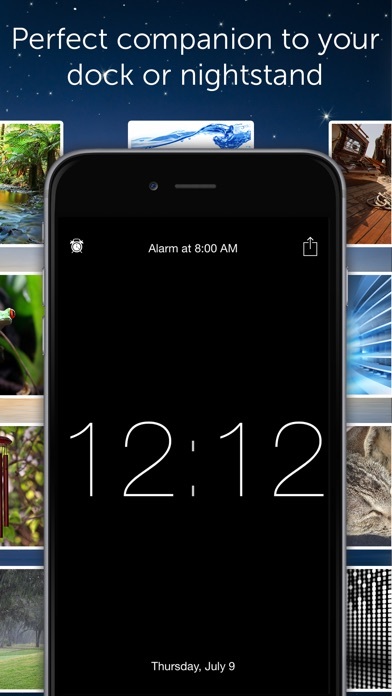 • Advanced alarm and timer system that slowly fades audio in and out so you awake naturally feeling more refreshed • Retina display support with Portrait/Landscape orientations. • On-screen media player and volume controls with swipe gesture support for navigating sound collection • Heart favorite sounds and mixes in the sound catalog for quick access using the Favorites view • Use iPod Music as alarms that slowly fade in so you wake refreshed • Remote media controls with bluetooth, lock screen, and headphones • Advanced controls for volume, balance, pitch, mixing with iPod music, looping the playlist, custom alarm snooze times, and more • Generate custom color noises, binaural beats, and tones with Generator In-App Purchase PRESS REVIEWS White Noise has been featured by popular TV shows (Dr. Oz, Today Show, FOX&Friends, Jimmy Fallon), major media outlets (NBC News Today, Health Magazine, The Washington Post, NY Times, CNET, Esquire, PC Magazine), and raved about by millions of satisfied customers. DR. OZ SHOW: 13 Miracles of 2013 "Revolutionary Sound App!” THE WASHINGTON POST: Smartphone Puts Newborn to Sleep "For the next four months, the infant slept with his father's phone in his crib and White Noise tuned to 'air conditioner.' The monotonous buzz kept the baby sleeping soundly and his parents happy." 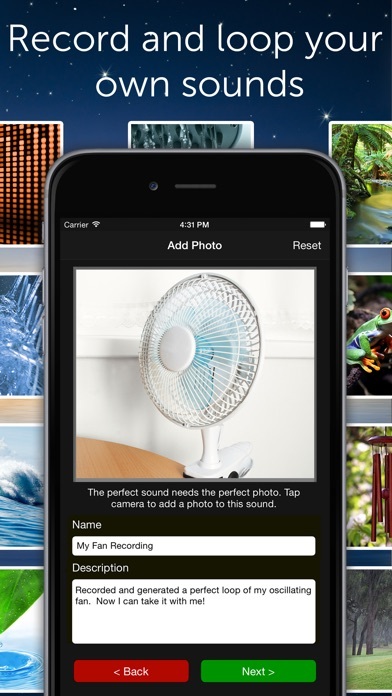 CNET: Apps that can improve your life “Trouble falling asleep at night? 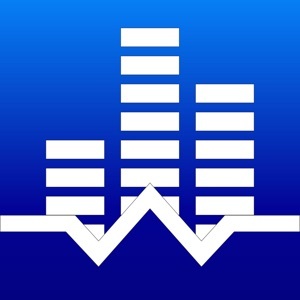 A little White Noise might do the trick.” HEALTH MAGAZINE: "Help you turn off your brain, fall asleep faster, and get the rest you desperately need" Website: https://www.tmsoft.com/white-noise/ White Noise Market: https://whitenoisemarket.com Thanks for using White Noise by TMSOFT!